Does your clinical practice always reflect best practice and evidence? If you said no, you are not alone. Many healthcare professionals do not provide care that is recommended or that is based on the latest research (1). Information overload, inaccessibility (1) and lack of awareness of new information (2) are just some of the reasons for this evidence-to-practice gap. A Cochrane review evaluated the effects of automatic reminders for healthcare professionals on both processes of care (related to the healthcare practitioner’s practice) and outcomes of care (related to the health care condition) and found that reminders improved professional practices by 7% (1). They concluded that reminder interventions can improve care in man y settings under different conditions. This study made me think about the monthly dietetic practice reminders I receive. On the last day of each month, I receive an email alerting me to new and updated content in the PEN® System. 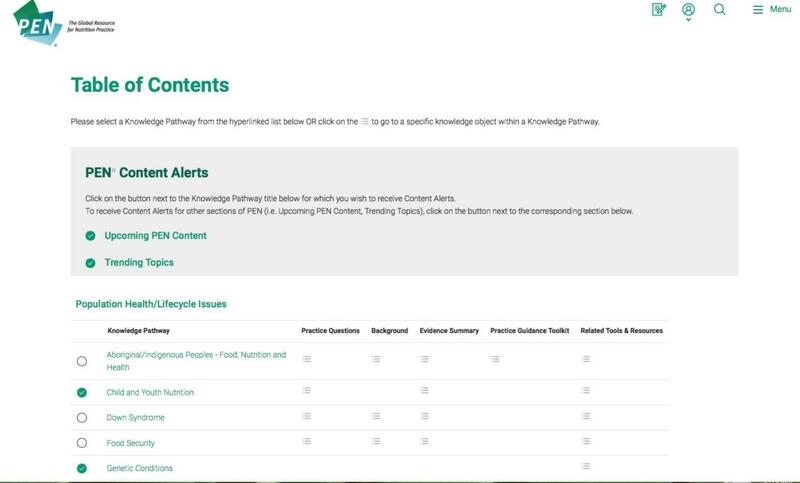 Called PEN® Content Alerts, this Alert is customized to information that is most relevant to my areas of practice. For example, this past month, I was alerted to this resource: Learn How to Eat Mindfully with the ‘Eat—Mojis’. Without the Alert, I would not have been aware of this new (and on-trend) nutrition resource. In previous alerts, I learned about the Microbiota Background, the Genetically Modified Organisms (GMO) Background and more! 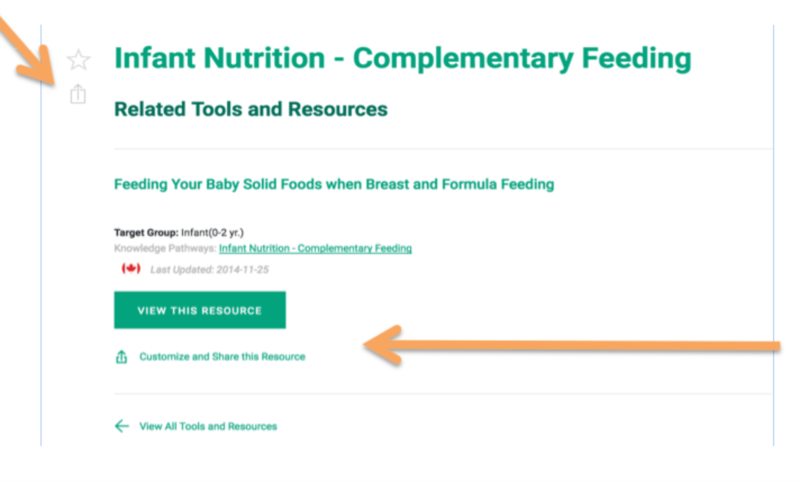 Whether it is a handout, a resource, a practice question, a general backgrounder or a Trending Topic, these Alerts have served as practice inspiration to maintain and enhance my nutrition knowledge in this ever-evolving field of nutrition. If you haven’t already done so, sign up for PEN Content Alerts (instructions are here), a feature available to those with individual PEN® System access. Once you receive your alert, grab a cup of tea, your computer or tablet, and continue to close the evidence to practice gap in your practice. In this issue of PEN eNews 6(3), we have articles focusing on the art of communication in nutrition and dietetic practice. We also share some of our secrets for keeping the PEN® System a global resource for nutrition practice. And, we share tips and insights for how to make the most of the nutrition information and content in the PEN® System. How do I…shorten a PEN® Client Handout? Is there a risk in supplementing iron and zinc together? Do protected mealtimes improve mealtime care (mealtime/eating assistance, avoidance of mealtime interruptions, activities of staff focused on eating and meals etc.) or nutritional, functional and/or clinical outcomes of inpatients in health care facilities? Is there a role for nutrition in preventing glaucoma? Do healthy adults who consume multivitamin/mineral supplements have a lower risk of developing cataracts? Is there evidence to support roles for specific nutrients (notably high dose antioxidants) in preventing the development or progression of cataracts? How much infant formula do healthy full-term formula-fed infants of different ages consume? What are the co-morbidities of gout and how does the presence of these co-morbidities influence lifestyle recommendations for gout? Can one get avian flu from eating poultry or eggs? Can humans get variant Creutzfeld-Jakob disease (vCJD) from eating beef? Is farmed salmon that is contaminated with PCBs safe to consume? What is the effectiveness of dietary counselling given by dietitians compared with other health care professionals in the primary care setting? Some preschoolers want the same foods over and over again. How long can a food jag be expected to last? What strategies for picky eating, including food jags, are recommended? When children are ill (i.e. with a cold or flu), is it normal for their appetite to decrease? What is the effectiveness of dietary or lifestyle interventions for preventing or treating chronic disease in the primary care setting? How Do I … shorten a PEN® Client Handout? Does a PEN® client handout extend over an extra page on your printer and you would like to shorten it? You can shorten the PEN handouts by excluding certain optional sections within the handout. Depending on how many of these sections you decide are necessary, you will be able to have some control of the overall handout length. 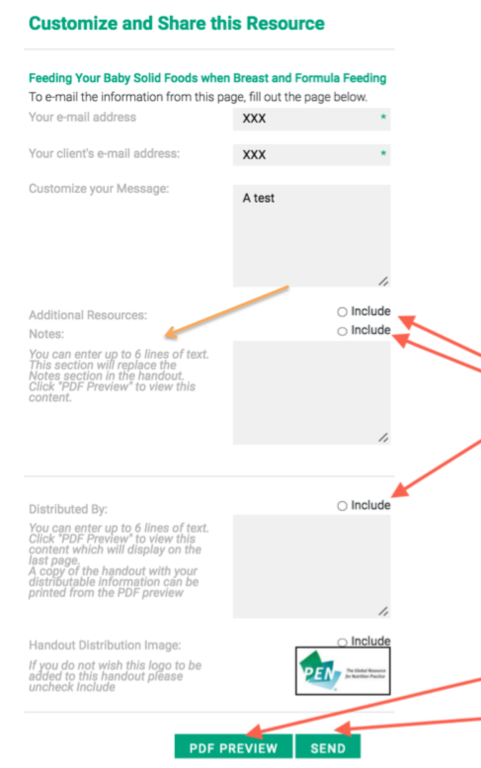 When selecting a PEN client handout, click on the “Customize and Share this Resource” link available at the top or bottom left of the page. You will be taken to the Customize this Resource pop-up window where you may add your email and your client’s address. Scroll down and you will find three sections that are defaulted to be included in the handout: Additional Resources, Notes and Distributed By. By unclicking the check mark, the section will not display on the handout you print or send by email. You can see how these options will look on the handout by clicking on the PDF PREVIEW button and adjust again as you would like. Let’s get this straight: M.O.P stands for “Motivation over the phone”. It is an acronym born here at EatRight Ontario (ERO) a provincial call centre in Canada whose goal is to improve access to credible healthy eating advice from dietitians. MOP is a unique evidence-based approach in lifestyle behaviour change used over the phone. It includes aspects of cognitive behavioural therapy; trans-theoretical model and motivational interviewing (1,2) all techniques outlined in the PEN® System. MOP has transformed how each ERO dietitian communicates with a caller. MOP evolved after a caller survey in 2009 where callers told us they wanted help making lifestyle changes and a more personalized service. A 2010 environmental scan showed that implementing these changes in a call centre environment was feasible. At the time, little evidence supported these approaches in a telephone-only service. working on “change talk” e.g. “From what we talked about, what would you commit to doing this week?" Monthly MOP email tips prepared by the MOP leadership team. Monthly team meetings that allow for opportunities to interact and discuss different skills. 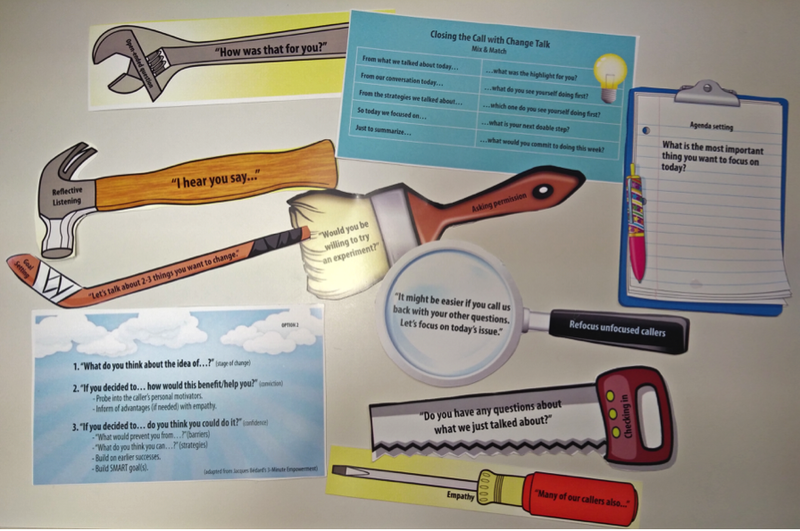 MOP tool kits with sample questions. MOP call discussions or role playing with a MOP team member to connect to improve on a skill, or learn how to handle a difficult call. MOP activity tracking with each call so we know which techniques are being used during calls. A call library (collection of recorded calls) used for training new dietitians and dietetic interns. MOP surveys with the team to determine what is working and where they need more support. Feedback from our callers and the dietitians is very encouraging and we have begun to track statistics to evaluate our approach. The callers feel more engaged and the dietitians feel they are making a difference. At ERO, we use the PEN® System daily to provide evidence-based answers to nutrition questions and we know now that our MOP approach is supported by PEN® evidence too. We feel proud that we have chartered new territory by applying this evidence. We are continually learning and improving our abilities to motivate callers to make behaviour changes. Which behaviour techniques do you use in your own patient counseling? How has your practice evolved? "Obese adult” or “individual with obesity”? “Diabetics” or “persons with diabetes”? Using people-first language has become common when discussing people with disabilities and some chronic diseases, and there is increasing pressure to use people-first language when referring to individuals and populations with obesity (1). Language can affect attitudes and behavioural intentions; for example, people prefer that health providers use the terms ‘weight’ or ‘unhealthy weight’ as they are less stigmatizing than being referred to as ‘obese’ or ‘extremely obese’. The movement to view and refer to a person respectfully in their entirety as opposed to labelling a person as a disability, disease or health condition is one that the PEN® Team supports. We are having ongoing dialogue about the use of people-first language in the PEN® System. and is growing in breadth and depth every day! for both consumer and professional resources that the PEN® Team develops. *Note that this applies to diseases and long-term health conditions, with a particular focus on using people-first language for obesity. The PEN® Team looks forward to promoting people-first language through its use in PEN® content. It might be stating the obvious, but . . . nutrition is a hot topic! The public and the media are hungry for nutrition information, meaning real opportunities for savvy dietitians to communicate practical, evidence-based and engaging messages. And for our profession, it’s a chance to cement ourselves as the ‘go to’ experts in nutrition. However, with this heightened interest in nutrition comes the risk of inaccurate or misleading reporting on nutrition. Unfortunately, nutrition misinformation is widespread in the media, and this can be harmful to health. So now, more than ever, it’s important that we raise of collective voice to correct nutrition misinformation in the media. But does it make a difference, and where do we start? In Australia, the ABC science program Catalyst aired a controversial two-part series Heart of the matter in October 2013. This questioned the link between high cholesterol levels and cardiovascular disease. It also cast doubt over the value of statins in the prevention of cardiovascular events. Following a number of complaints about Heart of the matter, the ABC’s Audience and Consumer Affairs Unit launched an investigation which found the series breached ‘impartiality standards’. The ABC report said this related to omitting relevant perspectives and views, including from Australia’s National Heart Foundation. The program was removed from the ABC’s website, but by then, the damage had been done. Research published in the Medical Journal of Australia1, which looked at 191,833 people on statin medication, found the number of people discontinuing statins (on average, 1.8% before the Catalyst program aired) increased by 28.8% in the week the program aired. To put this number into context, this corresponds to approximately 28,784 extra Australians stopping their statin medication in that week. Along with some frightening statistics, this highlights the power of the media to influence people’s choices around health. Over many years, the Dietitians Association of Australia (DAA) has built a strong media profile and fostered relationships with journalists. We know from our surveys that DAA is top of mind for many journalists seeking nutrition comment. For instance, a survey of Australian journalists (n=64) in late 2015 revealed 69% come to DAA for nutrition-related stories, more so than any other organization surveyed. While this helps evidence-based nutrition information reach the public, tackling misinformation is also crucial in helping people make the right food choices. 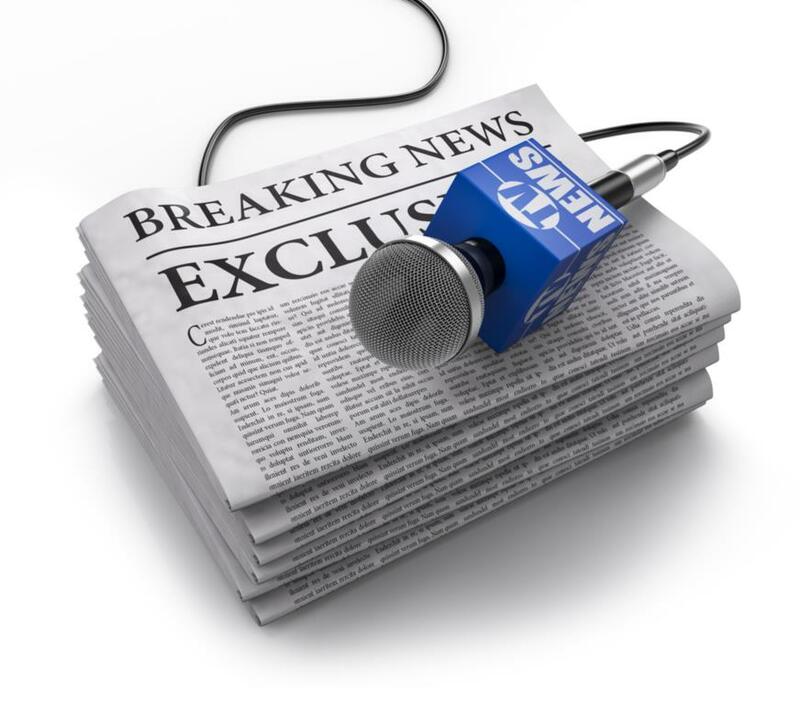 DAA regularly contacts media outlets to correct misinformation in the media. We have found feedback is generally well-received by journalists – with stories corrected (particularly online articles) and DAA often contacted for subsequent nutrition stories. DAA contacted Body + Soul, a popular insert in national weekend newspapers and an online source of health information, to highlight inaccuracies in an article about coffee. Body + Soul removed the online article, and has since sent numerous media requests DAA’s way (10 opportunities during August and September 2016). DAA contacted Big Rigs, a newspaper for truck drivers and others working in the transport industry, with our concern over an article about diet and cancer. The editor published an edited version of DAA’s letter online. DAA contacted Harper’s BAZAAR magazine to express disappointment in an article about gluten, which contained non-evidence based advice. As a result, Harper’s BAZAAR requested contact with dietitians, through DAA, to link in with future issues of the magazine. Journalists are really well-intentioned. They want to avoid including information that is inaccurate and unbalanced as it puts into question their credibility and integrity as a professional. Act immediately. Acting immediately means you are more likely to get your thoughts published or aired, and this is a powerful way to correct misinformation. Draw from credible sources of nutrition information to craft your response. For radio, think of a few things to say and a key message you would like to get across and then ring the station straight away. For newspapers, write a letter to the editor the same day the article appears in print. Many media outlets include a comments section at the end of stories they’ve printed or aired, so utilise this to express another view. Be succinct. For radio, you need to get your message across in a few sentences. For letters to the editor in newspapers, keep the word count to less than 250 words. Say who you are and what it is that you disagree with and give reasons why. Offer the correct information, including what you want people to think or do differently. This may be as simple as recommending they seek advice from a dietitian. Consider your language. In responding to misinformation, search for common ground (for example, ‘It’s great that nutrition is being discussed’). Keep messaging positive, open, and encouraging so you have a better chance of connecting with people, and therefore having your messages heard. Let the journalist know they can come to you in the future for a quick comment, or a fact check for any nutrition-related stories. 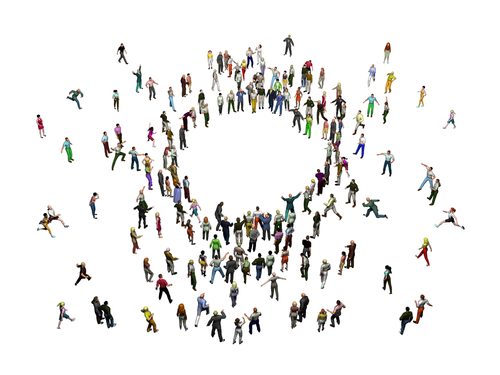 Having more dietitians respond to misinformation in the media will increase the likelihood our collective voice will be heard – after all, we are stronger together! We all pride ourselves on providing evidence-based dietetic care to our patients. And it is great to work in a specialist area like diabetes that is active in research and full of opportunities to learn and continually develop. But our patients rarely have just one 'problem' - and we can't be experts in everything. This, for me, is where the PEN® System becomes invaluable. Yes, of course I have the skills to undertake a literature search, as many of us do, but what I lack is the time to undertake a review in every area of dietetics that may be relevant to my patients. So I use the PEN® System. Both as a specialist diabetes dietitian and as a freelance dietitian PEN can, at best, improve the quality of the service I deliver and, at worst, save me valuable time doing my own searches. A recent example: a patient I was seeing for help with losing weight mentioned she is also having migraines and wondered if her diet may be related. I have heard about common culprits, but I didn’t feel able to give a thorough account of the evidence for my patient. I was easily able to find and read a clearly-written knowledge pathway in PEN, and therefore give my patient a clear and evidence-based response. There’s also a patient handout, and I learnt a new word: ‘migraineurs’ (people who experience migraines). I don't use it every day or even every week, but for the times when I do access PEN, it certainly feels like value for money and a worthwhile use of my time. Try it for yourself next time a patient asks about something outside your usual expertise! I first started using the PEN® System during my undergraduate degree, and found it extremely beneficial during my practice placements, as well as for case-based learning. It is intuitive and straightforward to use, and I like the summary of evidence you are presented with as search results. The evidence is graded, which is useful when making decisions regarding the significance of studies. I found it particularly useful for finding the latest nutritional guidance for diseases like chronic kidney disease and cancer. Since graduating, PEN continues to be useful in my practice as a general dietitian and a researcher. I have used it to find the latest guidance on Vitamin D for a band 5 CPD session, as well as finding general information regarding dementia and malnutrition, which is the focus of my research degree. In terms of research, the practice question summary is very useful and these are structured in a ‘PICO’ format and a short summary of the evidence is provided to enable a quick decision to be made as to whether the study is applicable or not. This makes PEN a great time-saver, but also a ‘good place to start’ looking for evidence as the practice questions are pre-defined. Overall, I consider PEN a useful tool in my capacity as a research dietitian and will continue to use it as one of my search tools when finding evidence. What is one of the best things about BDA student membership? As the BDA student rep, I am often asked this question. A year into my role, the PEN® System springs to mind. As future registered dietitians, you are probably aware that we are a regulated and evidence-based profession. This means that any advice we give must be based on the latest scientific and clinical research. Unfortunately, not all nutritional information in the media is evidence-based, and therefore it is not surprising that many people are confused about what advice to follow. As dietitians, we have a duty to stay up-to-date with nutritional science, however as busy students this can be time consuming. If only there was an online resource where you could find a summary of the evidence behind nutritional topics, medical conditions and dietary interventions. PEN is the solution! It is easy to use and has a search bar where you can type in a key word or topic. This will lead you to a summary of the evidence behind a topic and links to downloadable resources as well as links to further information and scientific papers. The PEN® System is regularly updated, so you will be accessing information that will allow you to stay abreast of the latest news in food and nutrition. I have found PEN a life-saver. It has saved me time, and also furthered my understanding of topics that we haven't yet covered in lectures but arose during placement. I have used PEN in my essays and assignments, and also used it to supplement my lectures. PEN is an essential for any student dietitian, and once you have signed up, you probably will wish you had found it earlier! Food Allergy: Shopping and Cooking on a Restricted Diet, Sulphites and Airway Symptoms, and Sesame and Other Seeds. Available here. IBD: Food and IBD, Diarrhea and Constipation, Managing Bloating and Wind and Dehydration. Available here. Prostate Cancer: Male Cancer: Awareness, Diagnosis and Treatment, Living with Prostate Cancer: A Guide to Physical, Emotional and Practical Issues and Diet, Activity and Your Risk of Prostate Cancer. Terms of reference for the advisory committee. This meeting was the first of what would become the PEN: Practice-based Evidence in Nutrition® Advisory Committee or PAC and it demonstrates how from the very beginning, we have relied on members/users to help design, grow and shape the PEN® system. 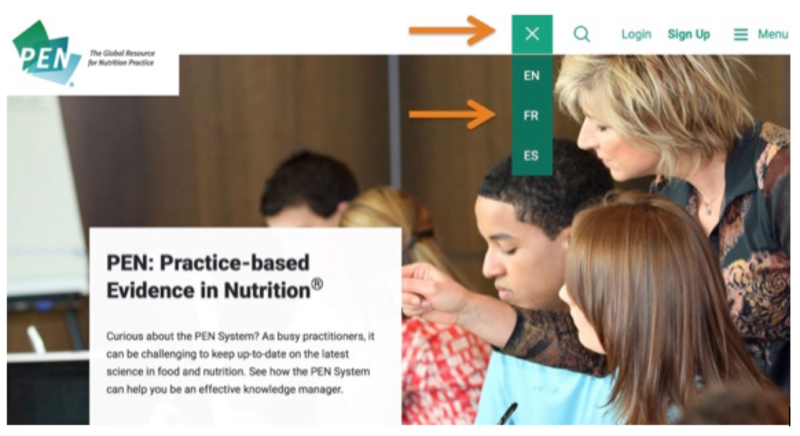 “PEN” truly is a knowledge system created by dietitians for dietitians. … and they’ve even done some script writing for some of our PEN webinars a nd upcoming “Help” videos! So when the PEN® System went “global” in 2010, we knew we also needed to create PEN® Advisory Committees or PACs in our partner countries to ensure our user “voice” was now a global one. We are very grateful for the ongoing input and support we obtain from our PACs and we would like to thank our current PEN Advisory Committee members for their time, wisdom and effort in shaping the PEN system to be the global resource for nutrition practice. The World Health Organization recommends taxing sugar-sweetened beverages to lower consumption and to reduce the risk of chronic disease worldwide? 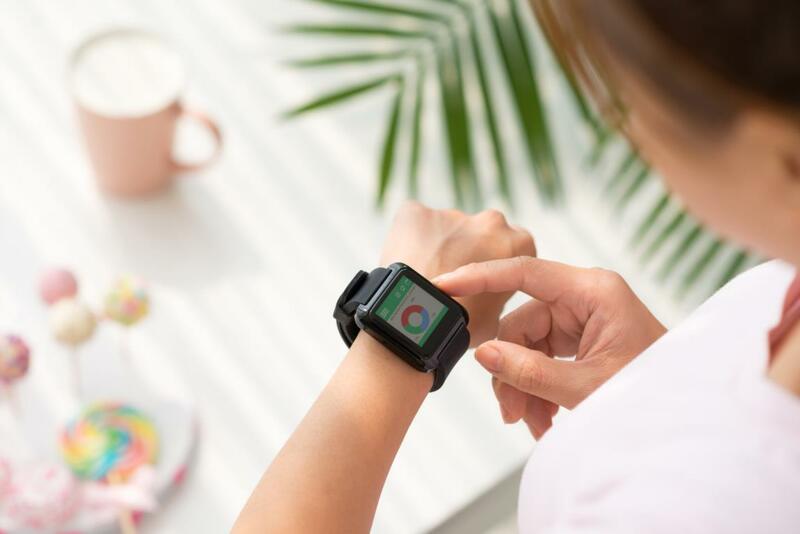 Wearable technology may not impact weight loss? To highlight and give priority to dietetic-related newsworthy research, policy documents, practice guidelines or position statements. 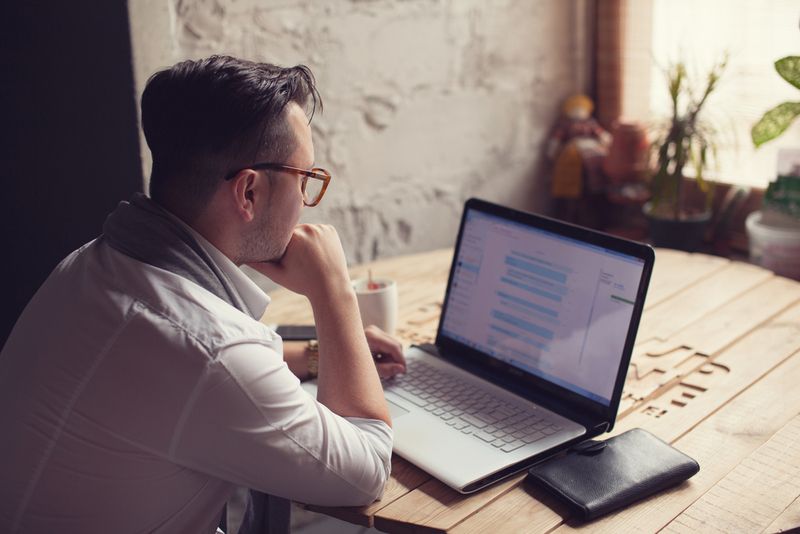 To provide a critical analysis of a "hot topic" or article in the news that informs association members, PEN® subscribers / users on messaging / practice approaches. To promote the profile and credibility of the Dietitian by providing timely analysis of, or comment on nutrition issues or controversies. This is where the PEN® practice questions serve you best. Our authors synthesize the best evidence to develop practice advice that is graded to reflect the strength of the evidence used to develop it. Pour les cliniciens occupés, il peut être difficile de se tenir à jour au sujet des plus récentes données scientifiques en matière de nutrition et d’alimentation. Voyez comment le système PEN® peut vous aider à gérer vos connaissances de manière efficace. Misez sur la puissance de PEN®. Joignez-vous à la communauté PEN® et aux milliers de diététistes et d’étudiants en nutrition de partout dans le monde qui utilisent PEN®. Il est maintenant possible de consulter PEN® en utilisant un système de navigation en français. Le but est de rendre l’utilisation de PEN® plus facile pour les professionnels de la nutrition francophones. L’ensemble du contenu ainsi que les guides de pratique demeurent en anglais. Le saviez-vous? PEN® compte plus de 500 ressources en français! Consultez PEN® et découvrez plus de 500 ressources à l’intention des consommateurs et des professionnels en français. Naviguez dans PEN® dès aujourd’hui et faites-nous part de vos impressions! Pour faire un essai gratuit de PEN® pendant 2 semaines ou pour vous abonner, rendez-vous au https://www.pennutrition.com/signup.aspx. Le coût d’un abonnement à PEN® est de 60$ par année lorsque vous êtes membre des Diététistes du Canada. For the busy clinician it can be difficult to keep up-to-date on the most recent scientific information in the area of nutrition and food. See how the PEN® System can help efficiently manage your acquisition of knowledge. Use the power of the PEN® System! 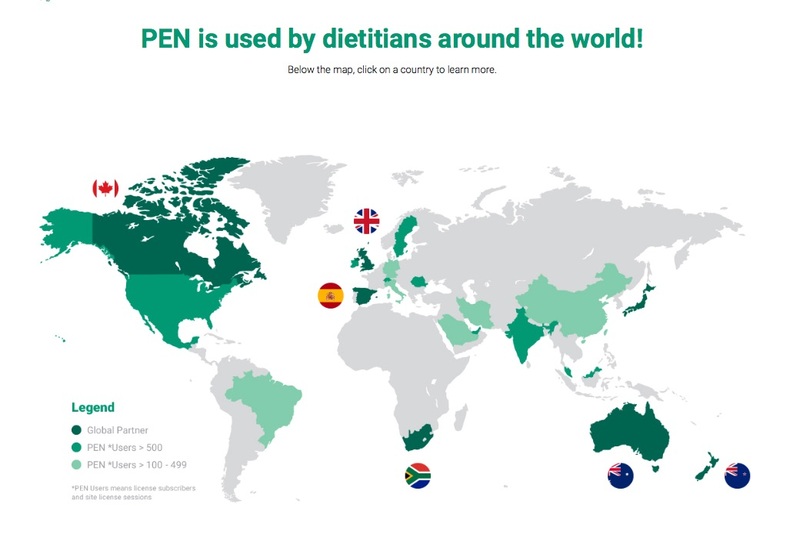 Join the PEN® community and the thousands of dietitians and nutrition students worldwide who use the PEN®System. It is now possible to consult and use the PEN® system with the new French navigation. The goal is to make using PEN easier for francophone nutrition professionals. The content and the practice guidance continues to be in English. Did you know that the PEN® System has more than 500 French resources! Take a look at PEN and discover the more than 500 resources in French that are targeted at both consumers and professionals. Browse the PEN® System today and let us know what you think! You can sign up for a free two week trial at: https://www.pennutrition.com/signup.aspx The cost for a PEN® subscription is only $60 a year if you are a member of Dietitians of Canada.